HRD is uniquely positioned to advance our understanding of tropical cyclone processes in close cooperation with other institutions involved with numeric predicitons and observational technology. Below are listed some of our vital affiliations. Cooperative Institute for Marine and Atmospheric Studies (CIMAS) CIMAS is a cooperative research institute between NOAA and ten Partner Universities (Florida Atlantic University, Florida Institute of Technology, Florida International University, Florida State University, Nova Southeastern University, the University of Florida, University of Miami's Rosenstiel School of Marine and Atmospheric Science [RSMAS], University of Puerto Rico at Mayagùez, University of South Florida and University of the Virgin Islands). CIMAS was formed to develop a Center of Excellence relevant to understanding the Earth's oceans and atmosphere within the context of NOAA's mission. CIMAS conducts research focused on the collection and analysis of observations of hurricanes and other tropical weather systems. Activities include identifying and validating observational needs, developing instrumentation, obtaining observations, studying the optimum configurations for observation networks, modeling and data assimilating, expediting and facilitating the transition of research to operations, and developing analysis and forecasting applications for operations. Nearly half of HRD is comprised of CIMAS employees. CIRA is a cooperative research institute between NOAA and Colorado State University in Fort Collins, CO. Their research is concentrated in satellite algorithm development, training, and education; regional- to global-scale modeling; data assimilation; climate-weather processes; and data distribution. In addition, they study societal impacts of NOAA research, and promote environmental literacy and outreach to students and the general public. Other research involves the National Park Service and the U.S. Department of Defense. Stimulate the training of scientists and engineers in the disciplines involved in atmospheric and earth science. CYclone Global Navigation Satellite System (CYGNSS) The National Aeronautic and Space Administration (NASA) CYGNSS program involves eight small, relatively inexpensive satellites to measure surface wind speeds over the oceans, increasing the ability of scientists to analyze, predict, and understand hurricanes. HRD scientists collect airborne data in hurricanes to compare with observations from the CYGNSS satellites. HRD scientists also assess the impact of the data in numerical models. Hurricane Forecast Improvement Program (HFIP) HFIP provides the basis for NOAA and other agencies to coordinate hurricane research to significantly improve guidance for hurricane track, intensity, and storm surge forecasts. It also engages with the larger scientific community efforts toward improving such forecasts. The goals of the HFIP are to improve the accuracy and reliability of hurricane forecasts; to extend their lead time with increased certainty; and to increase confidence in them. These efforts require major investments in improved observations, data assimilation, numerical model systems, and forecast applications. HRD coordinates its research activities toward reaching the HFIP goals. HFIP funds the project entitled "Addressing Deficiencies in Forecasting Tropical Cyclone Rapid Intensification in HWRF" with principal investigators Jun Zhang and Hua Chen. The project focuses on identifying large- and vortex-scale processes associated with rapid intensification in the operational Hurricane Weather Research and Forecast Model, aiming to improve the model performance in RI prediction. The project emphasizes the use of HWRF ensemble forecast products, and airborne flight-level, dropwindsonde and Doppler radar data to pinpoint model deficiencies and improve model performance. Joint Center for Satellite Data Assimilation (JCSDA) The Joint Center for Satellite Data Assimilation is a multi-agency (NOAA, NASA, the U. S. Navy and the U. S Air Force) research center created to improve the use of satellite data for analyzing and predicting the weather, the ocean, the climate and the environment. The work necessary to assimilate these many billions of satellite observations available each day is coordinated so that it is not duplicated across the agencies. HRD scientists work with JCSDA on joint projects, on obtaining satellite data sets, and attending workshops and training offer on new data assimilation systems. Joint Hurricane Testbed (JHT) JHT facilitates the rapid transfer of new technology, research results, and observational advances to use at operational centers to improve tropical cyclone analysis and prediction. Testing is done at NOAA's National Hurricane and Environmental Modeling Centers (NHC and EMC). Since its inception in 2001, HRD scientists have participated by having mature research successfully transferred to NHC and EMC, by being on the JHT staff overseeing and managing projects, and by serving as co-chair on the steering committee that reviews new proposals. Extend the TCGI into the eastern and central North Pacific basins. Refine the current predictors and test new ones. Add forecasts of TC structure (wind radii and minimum sea-level pressure to statistical forecast models. Compute how much measurements by satellites, aircraft, and surface instruments systematically underestimate tropical cyclone intensity. Create forecast guidance and post-season analysis products to improve interpretation of these measurements for a variety of tropical cyclone scenarios. 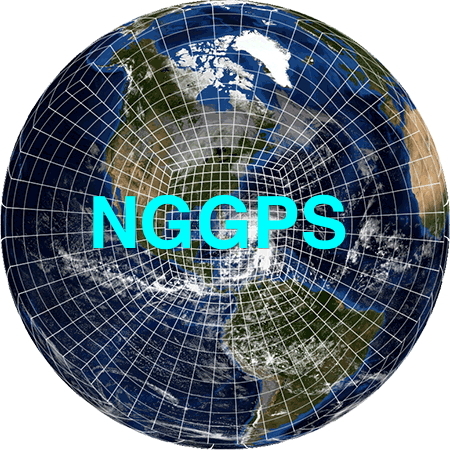 Next-Generation Global Prediction System (NGGPS) NOAA is working to create a unified modeling system for time-scales ranging from seasonal to the short range. Under NGGPS, AOML/HRD is leading the hurricane model development for this effort. Specifically, HRD scientists will work with other NOAA partners to transition HWRF to a global modeling system capable of tracking hurricanes with nests at 1-3-km resolution, key for resolving inner-core processes within hurricanes and, consequently, for improving intensity predictions. Northern Gulf Institute (NGI) NGI is a NOAA Cooperative Institute based at Mississippi State University. Its research focus is on Northern Gulf of Mexico ecosystems, ecosystem management, data visualization in environmental science, climate change impacts on regional ecosystems, and coastal hazards. Dr. Heather Holbach's research involves NGI's coastal hazards and resiliency goal and NOAA's goal for a Weather-Ready Nation. She conducts research on air-sea interaction in tropical cyclones with the aim of improving surface wind-speed estimates by the Stepped-Frequency Microwave Radiometer and other instruments such as the Hurricane Imaging RADiometer. This will help to improve estimates of hurricane intensity and size, both of which are critical for forecasting coastal wind and water impacts from land-falling storms. RAP promotes excellence in scientific and technological research conducted by the U.S. government by offering graduate, postdoctoral, and senior-level research opportunities at federal laboratories and affiliated institutions. Dr. Leon Nguyen conducts research on how hurricanes are affected by vertical wind shear and dry air. Specifically, it involves the study of observations collected by NOAA aircraft. Dr. Jonathan Poterjoy conducts research into data assimilation, modeling, and observing-system design for tropical cyclones. The research focuses on the development and application of nonlinear and non-Gaussian data assimilation methods in high-dimensional systems. In particular, he currently investigates new ways to use satellite and radar measurements to improve the representation of tropical cyclones in numerical weather prediction models at different scales. 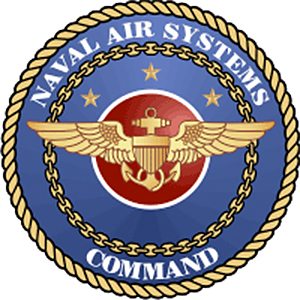 Naval Air Systems Command, Patuxent River (NAVAIR PAX) NAVAIR's mission is to provide full life-cycle support of naval aircraft including research, design, development and systems engineering; acquisition; test and evaluation; training facilities and equipment; repair and modification; and in-service engineering and logistics support. They are funding Dr. Joe Cione to conduct air-sea interaction research of mutual benefit to NOAA and the Navy. 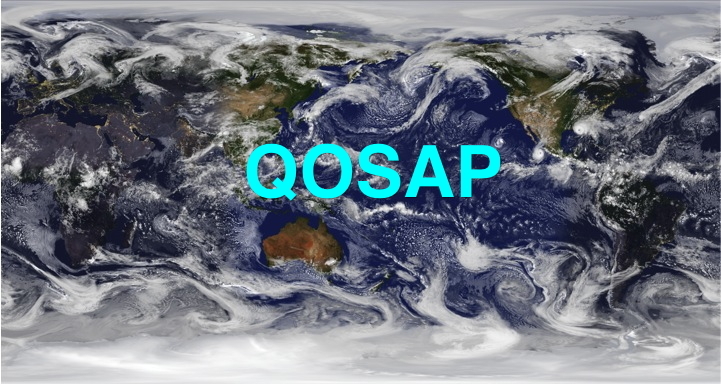 Quantitative Observing System Assessment Program (QOSAP) QOSAP provides objective analysis and evaluation of current and future earth observation systems. QOSAP aims to inform major decisions on the design and implementation of optimal observing systems as well as increase NOAA's capacity to conduct quantitative observing system assessments. Most of HRD's observing system simulation experiments are supported under this program. Time-Resolved Observations of Precipitation structure and storm Intensity with a Constellation of Smallsats (TROPICS) The National Aeronautic and Space Administration TROPICS program provides rapidly refreshed microwave measurements over the tropics. These observations go temperature, moisture, and precipitation will be able to see structure changes throughout the life of tropical cyclones. 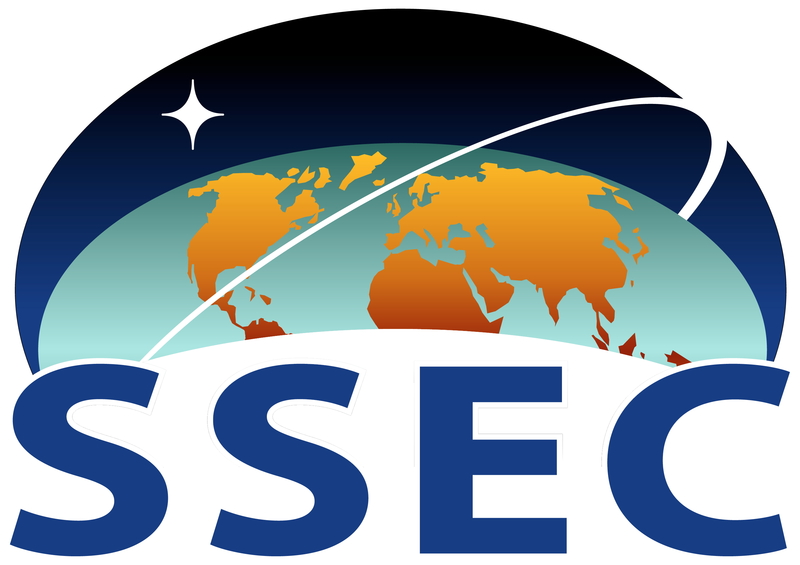 HRD is participating on the TROPICS science team that oversees various scientific aspects of the mission. Unmanned Aircraft Systems (UAS) NOAA IAS has sponsored the Sensing Hazards with Operational Unmanned Technology (SHOUT) program. SHOUT's main goal is to demonstrate and test prototype unmanned aerial technology that could be used to mitigate the risk of diminished high-impact weather forecasts and warnings in the case of polar-orbiting satellite observing gaps. HRD has helped lead SHOUT hurricane field campaigns, quality controlled dropwindsonde data for real-time use, and is assessing the impact of Global Hawk data on model analyses and forecasts of tropical cyclone track, intensity, and structure. Although the SHOUT field campaigns ended in 2016, scientists at HRD continue to work with the UAS Program to coordinate field campaigns and investigate how data impacts model forecasts of tropical cyclone track, intensity, and structure. Vortex Southeast (VORTEX-SE) The goal of VORTEX-SE program is to improve understanding and prediction of severe weather, including tornadoes, in the Southeast United States. VORTEX-SE focuses on how these extreme phenomena differ from those found in the U.S. Great Plains. AOML/HRD is leading efforts related to tornadoes within tropical cyclones by evaluating a combination of aircraft observations and numerical modeling, specifically tornado diagnostics produced by the Hurricane Weather Research and Forecasting (HWRF) Model.